Launch Your Best Marketing Campaigns Ever! 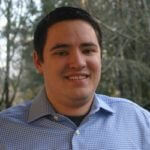 "Never before have I seen something that does all of what SCT does for a one-time fee. I’m adding it to my online toolbelt and not letting go." As a beta tester of SCT I have to say that I am impressed with all that it does. As a marketer, links are the life blood of your business. Links are how you get people to where you want them to go, and if people aren’t clicking on your links, well, you are just dead in the water. Problem is, just putting out links without knowing how they are performing is bad business. You need more information about your links once they are out there for everyone to see and click on. That’s where SCT comes into play. SCT is a total link management solution. In addition to ALL the things that it does with managing your links, its greatest asset to me is that you know HOW your links are performing, your “numbers.” Anyone in sales will tell you that in order to succeed, you need to know your numbers. And now, with SCT, you will. Granted, there are online services that, for a monthly fee, will do some of what SCT does, but never before have I seen something that does all of what SCT does for a one-time fee. I’m adding it to my online toolbelt and not letting go. Thanks guys! YES, It’s Possible! Take Your Business from Zero to Six Figures PER MONTH with this SIMPLE, but IMMENSELY POWERFUL Tool. "If you don't track you're putting on a blindfold..."
Paul Evans Author & Speaker - "Success is NOT an Accident!" Paul has been earning money online for 16 years now. He knows how to sell online, and in fact has sold millions of dollars in info products, physical products, coaching, and services! He recently produced a SAG Feature Film called “Unbelievers”. He has had the opportunity to team up on info products with professional athletes, world renowned authors, and celebrities and is thrilled to be a part of this project because he sees a huge need to finally have a simple solution for increasing conversions! David and Paul Love Bringing Real Software Solutions That Solve Real Problems to Market! Order today and this tool is all yours for a ridiculously low price! ... complete with all the features David uses to power his seven figure revenue business and live workshop empire! This includes all the time-saving, money-saving, and money-generating features we mentioned on this page. Created by David himself so you can start using this plugin right away . Everything is covered, and since it is created by David you ALSO receive behind the scenes training on how he uses this tool to power his 7 figure business. We believe in equipping our customers with the tools they need to succeed! With the replay included! 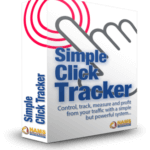 This will help you get all your questions answered live about how to most effectively use the Simple Click Tracker tool to grow your business. You will be joined by two Internet marketing experts and with a combined 30+ years of experience with their full attention on you to answer your questions . with the replay included! Funnels are the key to automating and monetizing your business effectively. See exactly how we use Simple Click Tracker to automate our funnels and scale our business. This is a power packed training. Now that you have a tracking tool in place, creating profitable funnels are easily the next step for your success! This is an absolutely huge bonus! You get access to a private, customer only Facebook group where we will be there to answer your questions related to using the Simple Click Tracker plugin. Even if you don't know how to get your first tracking link setup or if you are a seasoned marketing professional, you will find great support in this amazing community! Build your business together! "Simple Click Tracker has become an important part of my business." 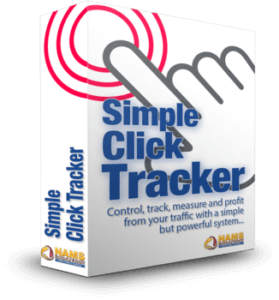 Simple Click Tracker has become an important part of my business. Not only does it make creating, organizing and tracking short URLs, it has also contributed to the development of a consistent brand of service. Whenever my tribe sees a link from "abbey.ws" they know and trust the link comes from me and that it leads to something that will enrich their lives. I love that! I want to say a huge "Thank you!" to you and your team for creating the Simple Click Tracker. I have used several different link tracking programs over the years, and this is by far the best. I love that it's so easy to install and be up and running with quickly, and that I no longer have to spend time creating manual redirects. And with all the added features it makes it a breeze to keep track of hundreds of links, to know what's working, and more importantly, to know what's not! Hat's off to you and your team for another great product! 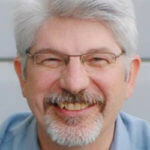 David Perdew had this system designed for himself, and he has used it for several years now. Over that time frame he has over 4,000 links using this tool to run and power his entire online business! You can bet your final dollar that David doesn’t want this plugin to go out of date or quit working! He has 7 figures in annual revenues riding on it! That is great news for you! Ever since I have known David I have seen him using these tracking links to promote his live seminars, his webinars, his offline workshops, his affiliate campaigns, his membership sites, his product launches, and much more! Just like our last launch for a video player this launch is using what we are selling! If you landed on this page, then our technology is working! This is exactly what separates David from other software or plugin creators! Those are his words to me. He didn’t buy white label rights to this plugin, he didn’t pay an outsource a onetime fee to build it, he doesn’t off load the support to someone who doesn’t know how it works, and he doesn’t leave his customers hanging! Testing it himself let David and his team create a powerful, yet simple solution with ONLY the functionality they needed to enhance any business using link tracking by focusing on functionality AND marketing power. But he wanted a solution that was not only functional and affordable, but also performed more essential traffic tracking tasks to help make better marketing decisions. Again, this is a 100% original, made-from-scratch tool created by David to meet a real need that marketers and online business owners like yourself face! Why Pay Monthly For Link Tracking Software That Limits You, Backs You Into A Corner, & Puts All Your Links At Risk? Let's make you understand how EASY this decision really is. We will shoulder ALL the risk here. If... after checking out the Simple Click Tracker Plugin and bonuses for 30 days...you are unhappy with it -- for ANY reason at all -- then WE INSIST you return it. Simply open a support ticket at www.namssupport.com and your purchase price will be promptly refunded.